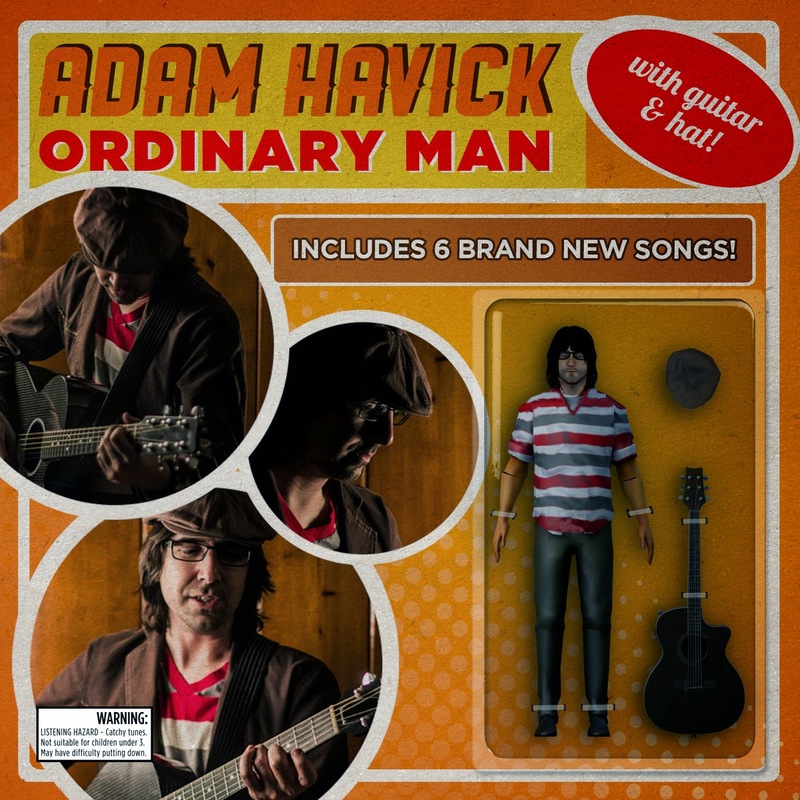 Adam Havick from New York is a singer/songwriter who has been performing for almost a decade, inspired by the likes of Tom Petty, Elvis Costello and Billy Joel. This is Adam's fourth EP and along his musical endeavours found his band mates and musicans to work and help him to shape his unique and defining sound. The EP is boasting brilliant and witty artwork, that contains a warning of 'catchy tunes' and explains 'may have difficulty putting down' which only adds to the intrigue and charm before you have even listened.. Opening song, 'Let Me Let You' has an old bluesy feel with a modern edge and is charming and easy on the ears with smooth fun vocals. Although the arrangement is fairly simple its executed wonderfully. To add to the blues vibes it features a super slick impressive guitar solo by Douglas Charles Showalter which gives it more power as well as some great screamed vocals really embracing the genre and mood! 'Halfhearted Attempt' is extremely catchy (as we have been warned!) and witty and the nice addition of gang vocals which add to the light 'hearted' fun! As the lyrics say themselves here's to "getting you out of my head" - the same applies to this song through its sheer catchiness and enthusiasm! This one is a great drinking song with friends! Title track, 'Ordinary Man' opens on intricate guitar licks which continue througout and here we see some guest female vocals from Tiffany Schirz which compliment Adam's voice well, who shows off his good and cleverly written lyrics. Also this song sports a brilliant and memorable guitar solo by Alex Hughes which I highly recommend you check out! 'A Step Away' has a less positive vibe with thought provoking lyrics which are delivered by nice soothing vocals from Adam and again for more emphasis we see vocals from Tiffany, who also treats us to a beautiful piano solo. This is a pleasant and enjoyable song which is a must hear! 'Buried At The Bottom' begins with strong loud acoustic guitar with equally strong and varied vocals to match which show Adam's abilities greatly. The song picks up with more instrumentation coming in giving it an ambient feel and gang vocals adding more power! Although negative lyrics the beats and rhythms remain positive sounding, which I think is a nice touch. Last song, 'Do You Miss Me?' is a slightly sorrowful love song which is portrayed through the lyrics, however unlike typical love type songs this may have a bit of a depressing context but the way its performed is still upbeat and hopeful making it a perfect relatable love song that allows you to reflect. There is a great mix and use of instruments to help give depth. For someone who claims to be an 'ordinary man' Adam sure possesses a whole lot of talent and skill along with band mates! All of which is delivered with energy,enthusiasm and humour without detracting from the seriousness of the songwriting; You can tell a lot of fun was had making this EP! There is something for everyone here to relate to and with its changeable moods and elements of different genres, all used to create Adam's own personal sound and stamped with his unique charm, making this is an EP to take a listen to and thoroughly enjoy!